Despite the reputation of such countries as France and Italy, musical romanticism actually originated in Germany, where many of the great composers lived and worked. It is true we don't often think of the Germans as a particuarly romantic lot. The precision and intricacy of the Baroque period, the logic and architecture of the great Classical periodthese are the traits we expect to find in German musical history. But the fact is that the Romantic movement started in Germanyin German art and literature as well as in German music. Romantic music is above all emotional music. It attempts to speak directly to the heart. At its bestand in the German Romantics it was often at its bestthis music was intellecturally satisfying. As this third volume of The Romantic Approach shows, these composers could move their listeners without having to resort to painting a particular image in sound. Most of the works on this recording have fairly generic namesRomance, Fantasy, Song without Words; but we get the feeling that there is more to the music than just one note following another. This is music that can speak to the emotions without dictating which emotion you should feel; in fact, it can evoke a different vision or story in each listener. This volume opens with perhaps music's most celebrated musical painting, Beethoven's Adagio Sostenuto from Moonlight Sonata, followed by the somber darkness of Weber's Fantasia showing the moody, brooding side of the German Romantics. Beethoven lifts our hearts in Romance No. 2 to happier optimistic Romanticism followed by one of Mendelssohn's Songs without Words. Bruch's most popular work, the weeping Kol Nidrei, is somewhat ambiguous in its key, moving between major and minor. The classic image of the tortured Romantic, pouring out his heart, is captured in Schumann's soulful Langsam getragen from Fantasie in C. Brahms' clarinet, in Adagio from Clarinet Quintet, sketches an intimate portrait of home and hearth, savoring each moment in a reflective mood. Wagner's Siegfried Idyll completes this volume with a musical love letter written for his wife, reflecting on motives from his opera Siegfried. 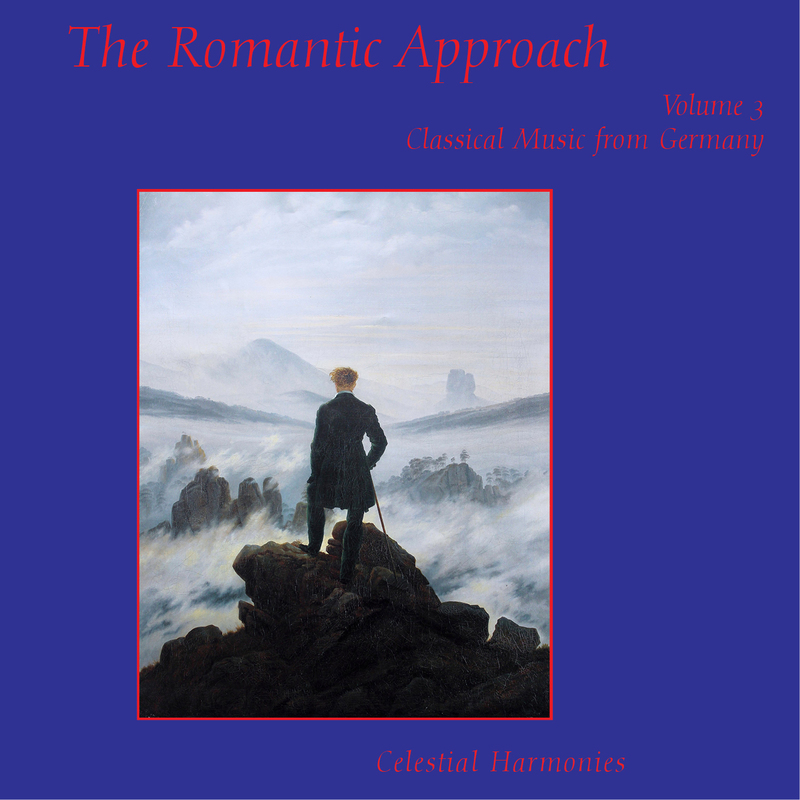 Following the 20th century American romantic music written after the end of the Romantic era featured in The Romantic Approach, Volume One (13087), and French and Italian romantic music showcased in The Romantic Approach, Volume Two (13101), this volume in the series returns to the origin of musical romanticism. It is with the genius of German composers like Beethoven and Brahms conveying something deeply personalemotions that could be as fleeting, as contradictory, and as indefinable in their music as they are in our lives. 1 Adagio sostenato from Piano Sonata No. 14 in C Sharp Minor Op. 27 No. 2 by Ludwig van Beethoven 5'15"
2 Fantasia from Clarinet Quintet in B Flat Major Op. 34 by Carl Maria von Weber 5'48"
5 Kol Nidrei Adagio on Hebraic Melodies Op. 47 by Max Bruch 9'56"
6 Langsam getragen from Fantasie in C Major Op. 17 by Robert Schumann 9'56"
7 Adagio from Quintet for Clarinet and Strings in B Minor Op. 115 by Johannes Brahms 10'25"
8 Siegfried Idyll by Richard Wagner 22'16"